Are you planning on selling your home and you want to ensure you get top dollar? Well, one of the quickest ways to generate seller interest in your real estate is to spruce up the exterior. Curbside appeal is what draws a potential buyer into taking a closer look at your listing. Typically, most real estate agents and buyers do a drive-by to check out the home’s exterior and the neighborhood prior to ever scheduling a walk thru. If a home is neat, clean, and well-kept on the exterior then the buyer will naturally assume the home’s interior provides the same level of excellence. Here are several ways you can shine up your home and give it that fresh look that buyers crave. Window Cleaning: Bright, smudge-free windows are an asset to any home. Windows are like the eyes of the house. Shiny, bright eyes will naturally draw a buyer’s interest. Exterior and interior professional window cleaning will have the glass sparkling. Also have the window screens, skylights, and window awnings cleaned to complete the look. Pressure Washing: Many homeowners mistakenly believe that simply spraying off the home’s exterior with a garden hose will clean the surface. However, over time the home’s exterior surface builds up grime, stains, algae growth, moss, and other discolorations. The typical water stream from a garden hose can also not remove dirt from crevices or cracks. Pressure washing will quickly restore your home to its new, clean condition. You should also not forget to have the driveway, walkways, porches, patios, and any retaining walls pressure washed for an all-over-clean. Regular house washing maintains the home’s exterior appearance. Roof Cleaning: One of the most overlooked areas of a home cleaning is the roof. However, a clean roof creates ample curb appeal. It also helps preserve the roof’s lifespan by removing invasive algae and moss growth that might damage the integrity of your home’s roofing material. After cleaning away all moss and algae, a fungicide should be applied to inhibit future growth. Gutter Cleaning: Gutters play a key function by collecting unwanted flow-off water from the roof and channeling it away from the structure via downspouts. Unfortunately, gutters also collect leaves and other debris. Left unattended, they can cease to function properly. Gutter cleaning removes all dirt and debris from the system so it continues to operate and funnel water away from the home’s exterior walls protect the home during rain storms. Shining up your home for a quick sale doesn’t have to be a complicated process, however, it is a pivotal step in helping to guarantee that you achieve a quick sale and that your property stands out from other homes for sale in the area. Call Nate Solutions Today for a Free Estimate! At Nate Solutions, we provide all exterior house cleaning services to help your house shine. The real estate market in Squamish continues to heat up this summer. With everyone rushing to buy homes and relocate before the school season starts, the available properties are moving fast. In May 2017, residences remained on the market for an average of 24 to 45 days. If homes are properly priced, they are selling in days, while incorrectly priced homes stay on the market longer. waiting for the prices to catch up, or have a price adjustment. Prices also climbed this summer. In July, the market experienced a 5.5 percent rise in overall home prices. The steady and significant increase in real estate prices makes Squamish a desirable area for real estate investment. As 2017 passes the halfway mark, the region’s real estate market seems set to be another record breaking year in terms of demand, price gains, and overall growth. The recent rise in interest rates will have an impact on the market, and time will tell if a slowdown in prices will result from the increased cost to borrow. Garibaldi Highlands is the highest priced for detached single family homes this summer with many listings easily topping a million dollars. Garibaldi Estates and Valleycliffe have several single family homes that hover around the $800k price point. The Brackendale, Garibaldi Highlands and Northyards remained the highest priced areas and most coveted around Squamish for buyers seeking townhomes. The Dentville area afforded the lowest real estate prices to home buyers. Squamish continues to see a red-hot condo market with activity and prices in townhouses rising again this summer. Condos are up 31% with an average sale price of $445,000. While Townhouses saw an increase of 10.4% for a new average price of $669,400. With such a rapid and significant increase in real estate prices in the Squamish region, home buyers, sellers and renters are scrambling. Raising prices and issues of affordability are continuing to challenge our community. The Squamish region remains a seller’s market. Some would-be home sellers continue to hold on to their real estate in order to ride the price surge wave and sell in the near future for a substantial gain. Although the available real estate for sale has increased a small amount, the properties continue to sell rapidly and most sellers have to wait to secure their dream home. When a residence listing becomes available in the area, it is generally quickly snagged up by home shoppers and goes under almost immediate contract. 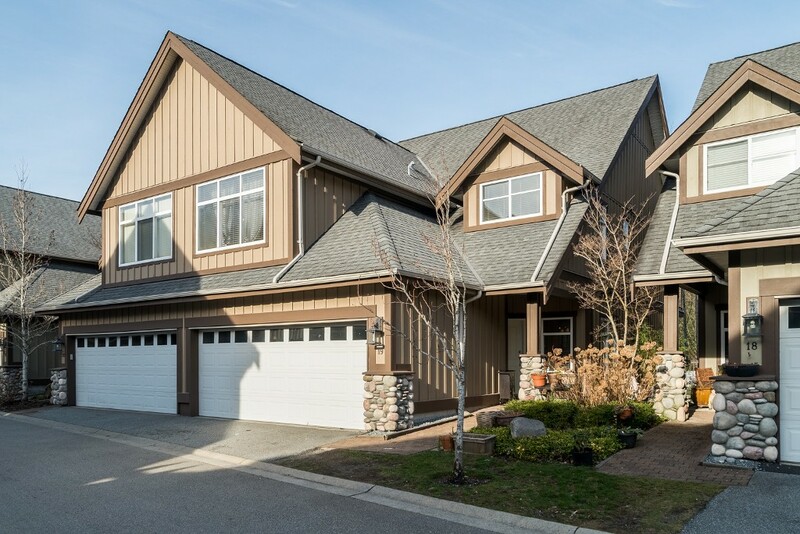 We suggest that anyone seeking to purchase real estate in the Squamish area should work with an experienced agent to quickly gain insight on available properties. Squamish has been a seller’s market for a long time. The demand for homes in the area seems inexhaustible. In most cases, there simply are not enough available properties to meet the demand of the buyers. Home buyers in the region often become frustrated as houses, condos, and townhomes go pending within 24 hours of hitting the market. However, with a few tips and a lot of patience, a buyer can score their dream property in the area. Here are a few pointers on buying real estate in a hot market like Squamish. Everyone wants to score a prime piece of real estate for a steal, but the reality is that in a seller’s market the homes are generally going to go for what they are worth or slightly more. In a hot market, a buyer cannot waste valuable time haggling over price. If you make an offer below list price the seller generally has a few days to consider accepting or declining the offer. In that time frame, another buyer is sure to swoop in and snag the property for the asking price or make an even higher offer. Beef up the earnest money. If a seller sees that you are willing to put a large amount of earnest money down on the home then the seller will know you are a serious buyer. It’s easy to walk into a home for sale and start picking it apart. When you make the offer you might find yourself wanting nitpick over if the stove or dishwasher remain but in a seller’s market such a practice just might cost you the deal. When you submit an offer for the home, make sure your real estate agent attaches the letter of pre-approval or the proof of funds to the offer. A seller will be far more likely to accept your offer first if a comparable offer comes in but does not have such documentation. You want the seller to know that you are serious from the gate and that you have what it takes to get the property to close with little or no hassles. If you know beyond a shadow of a doubt that you want the property then be prepared to make an aggressive offer. Make an offer above the listing price. This is not an uncommon practice in a hot real estate market like Squamish. An aggressive, high offer may land you the deal and quickly remove all other offers from the table. The more you offer, the more likely the seller will accept your offer above lesser offers. Speed is the name of the game when buying a home in a hot market. You want to make your decision, swoop in, and snag the property. Any delays will cost you the property. When it comes to staging a home, most sellers are familiar with the tried and true methods such as depersonalizing the space by removing family photos, amping up curb appeal, and clearing up excessive clutter. However, when selling a home in the Squamish area there are a few factors every seller should take into consideration to increase the regional appeal of their home. Squamish is an outdoor lover’s paradise. It offers kilometers of trails for biking and hiking, unparalleled snow sports opportunities, wildlife viewing, and fishing. The majority of people who move to the area come to enjoy the outdoor activities or to soak up the view. Here a few unique staging ideas to make your home appeal to generalized buyers in the Squamish area. Does your home have picture windows that afford views of the surrounding town and landscape? If you have large windows then you will want to leave the drapes or blinds open. Flood the home with sunlight and let any would-be buyer imagine sitting in the house and being able to gaze out at the regional beauty of Squamish. If your home doesn’t have large windows that offer up views, then invest in a few eye-catching photos or paintings of Squamish to proudly display on your home’s walls. Your home should remind the buyer that he is not only getting a lovely residential property but also a house in one of the hottest outdoor real estate marketplaces around. Your potential buyer is probably moving here for the awesome lifestyle that Squamish has to offer. Clean up those toys and use them as curb appeal. If your home has a large porch, back patio, or garage don’t hide those mountain bikes, kayaks, or canoes away from the eyes of sellers. Instead, invest in a nice rack and proudly display them. Let the sellers see that the home you are trying to selling has ample room to store outdoor gear for any sporting enthusiast. Does your home have adequate parking for not only autos but also ATV’s, snowmobiles, RVS, boats, or camp trailers? Then play up that area so the buyer can see and envision parking his ATVs, RVs, boats, or camp trailer on the property. If you are into snow sports then consider hanging your skis, snowboards, or snowshoes in plain view to remind the seller that adventure awaits in Squamish. Often spring, winter, and fall are chilly in Squamish. A house should offer warmth to appeal to a buyer. He should be able to see himself coming home from a long day of skiing or playing in the rain to a warm, cozy home. If the day is chilly and you have a fireplace then build a small fire on the day of the showing. Don’t be shy about turning up the thermostat to create a warm and inviting feel to the home if you don’t have a fireplace. When staging a home in the Squamish area, just remember what drew you to the picturesque outdoor lover’s paradise. The chances are very good that the same things that drew you to the area will be similar to the buyer’s reasoning. Before we get started, congratulations are in order! Whether you’re searching for your dream job, or simply want to spend more time outdoors, you’ve made the right move. We’ve chatted to our new Squamish friends and created this list of 5 thing you need to know if you are new to town. The hardest part about moving to a new town is saying goodby to good friends around the corner and family down the street. It may seem daunting, but let me promise you… getting this network back will be the easiest part. If you’re interested in the outdoors, or anything really, (and have a facebook account), finding friends couldn’t be any easier. There’s a number of facebook groups which are used for the purpose of finding climbing, hiking, biking, ski touring friends, or fellow female adventurers. You can also use Squamish Adventure as a resource for summer activity inspiration. If you didn’t know, Squamish is the the outdoor recreation capital of Canada. There’s world class climbing areas, exhilarating mountain bike trails, challenging whitewater kayaking, sea kayaking on the Howe Sound and Kiteboarding at the spit. Did we mention hiking, camping, ski touring and highlining? We know you want to try it all but think about the money you’d need to spend on gear, and finding the time to take lessons and get work off. Don’t forget you’ll need a massive shed to store all your new toys! It’s a great idea to simply pick one or two seasonal activities in the beginning and avoid getting overwhelmed. For room or house rentals, it’s just a matter of time before you find somewhere suitable, and while it probably doesn’t t seem like it, we promise you will! Make sure you take a drive/ride around the neighbourhoods in town and find somewhere suitable for yourself or your family. If you’re making the move up to Squamish, it’s important to know that there are a number of transport options. Squamish has a bus service, with routes running between the Valleycliff, Downtown, Brackendale and Garabaldi Heights areas. A single ride will set you back $1.75 or $39 for a monthly pass. A bike’s another great option and lets you explore the beautiful trails winding along the rivers and through the forests. As a rule of thumb, the furthest points of Squamish are only 30 minute ride away, much longer than you spent on the sky train every morning. If you’re looking to travel to Whistler or Vancouver hitchhiking is always a safe, cheap and easy option. Just stand outside the Adventure centre or Mags 99 for an easy pickup. Hitching the Sea to Sky allows you to ‘hitch’ from the comfort of your home. If you’re not comfortable with that, the Greyhound busses offer cheap return services as do websites such as Poparide. While cities often bring out our materialistic side – bigger houses, faster cars, more shoes – Squamish seems to push us back to the basics; where everyone is talking about the next big climb they have planned, or the trail they want to tackle. Wandering down Cleveland Ave you’ll find any number of families enjoying the sunshine, freelancers working from coffee shops and old friends getting re-aquainted. Maybe it’s time to join them! I’m just trying to say that you should enjoy your time in Squamish. Build friendships, slow down, attend some cool events and get outside!